PMP Exams can be scheduled online directly with the Prometric, the company that administers the PMP Certification exams on behalf of PMI. Scheduling the PMP exam well in advance can help bring focus into your PMP exam preparation and help you get your preferred exam date and location without much hassle. And with proper planning you can avoid the need and temptation to reschedule the PMP exam. However, sometimes there can be situations beyond your control that may require you to reschedule your exam. 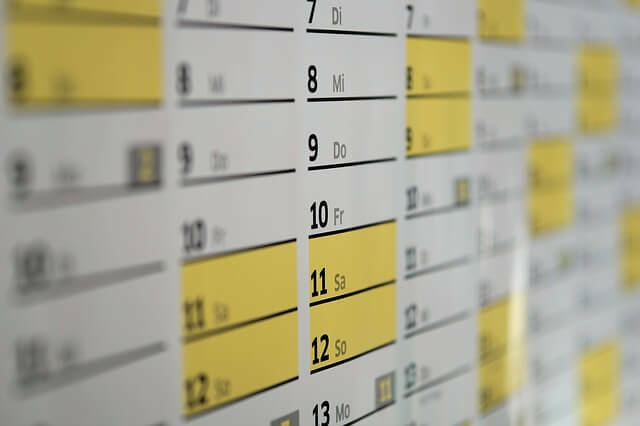 In this post, we’ll review the process to schedule the PMP exam, and the policies and procedures governing the rescheduling of the PMP exam. 1. At what point during the PMP application process do I schedule the PMP exam? 2. How do I schedule my PMP Exam? 3. Will PMI extend my exam eligibility period if I do not find a slot with Prometric? 4. How many times can I reschedule my PMP exam with Prometric? 5. Is there a fee to reschedule the PMP Exam? 6. What if I do not take the PMP Exam within the 1-year eligibility period? 7. Does PMI allow any exceptions to their PMP exam rescheduling/cancellation policy? You are allowed to schedule the PMP exam after you’ve paid the exam fee. If your application is selected for PMI audit then you’ll have to clear the audit before you are allowed to schedule the PMP exam. PMP exams are administered by a company called Prometric. You can schedule the PMP Exam date and location directly on Prometric website. You can also call Prometric and schedule your exam. Don’t bank on it, and don’t wait until the last 3 months of your 1-year eligibility period to book the exam. If you have at least 3 months left in your 1 year eligibility period, and you still cannot find any slot with Prometric, then it’s best to contact PMI Customer Care and let them know of the situation. You can reschedule the exam as many times as you want, as long as you do so at least 48 hours before your current appointment. There’s a $70 fee if you reschedule your exam within 30 days of your appointment. For rescheduling more than 30 days in advance, there’s no rescheduling fee. You can reschedule the exam online or by calling the test center directly. But note that many test centers do not provide direct (phone or otherwise) rescheduling facility. For such centers, you can reschedule the exam online. Check out the Prometric Exam-takers’ FAQs page for more details. Note: It is best to call Prometric and confirm the terms & conditions of rescheduling the exam in order to avoid any issues. There’s a $70 fee if you reschedule your exam within 30 days of appointment. As long as you reschedule the exam more than 30 days in advance, there’s no fee, no matter how many times you reschedule it. Well, you would have to re-apply and go through the entire application process again. Moreover, if you have paid the exam fee and don’t take the exam within 1 year, your exam fee would be forfeited. Yes, they do. PMI allows for exceptions under “Extenuating Circumstances”, which means special cases such as medical emergency, illness or death in the family, natural disasters, wars, riots etc. In case you need to reschedule or cancel your exam under such circumstances, send an email to PMI customer care providing the details along with any supporting evidence, and request for a refund of the rescheduling fee (in case you paid the $70 for rescheduling the exam) or the exam fee (in case it has been forfeited because of a no show). Please be sure to read the PMP Handbook to confirm the PMP Exam Schedule policies and procedures because PMI can revise the policies without prior notice. If you have other questions related to PMP exam scheduling or rescheduling, please post them in the comments section below. I’ll try my best to address them. Your comments and suggestions will be appreciated too. Is pre scheduling required for online test as well. or can I schedule the exam on the same day on which I am paying the examination fee. Technically you could, provided you can find a slot with Prometric for the same day. PMI doesn’t specify a minimum wait period. But I don’t understand, why you would want to do that. You would not be charged $70 for this case as your original schedule is more than 30 days away. Thanks a lot for this helpfull website . As you know.pmi cleared that it could be get the pmp exam at pearson test centers. If i re scedual my exam date at 27 of appril 2019 to july 2019. 1-What is the steps of reschedulaing to get exam at pearson test center rather perometric center? 2- is there any problem form perometric center related to exam fees?